Have you ever wished that you acted (or reacted) differently? You are not alone. Nobody is perfect. In fact, we spend most of our lives learning how to become better versions of ourselves. If you wish to reinvent yourself, then the first thing you need to do is expect that it can be done. You cannot turn into a different person altogether, but you can choose to behave differently despite your tendency for a certain negative trait. The next step is to meditate: turn your attention inwards. Focus your energies into learning exactly who you are, and why you behave the way that you do. Use your new-found awareness to transcend your negativity and shift to a more positive frame of mind. Who do you think you are? 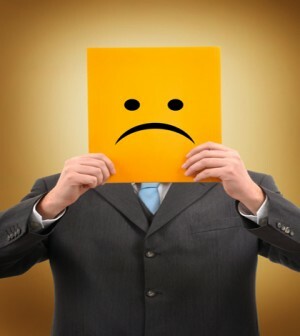 Which of these negative personalities do you morph into? The Hulk: You instinctively react with anger. It empowers you to speak out and question what is wrong. Sometimes, however, you forget to look at the situation from another perspective and later regret lashing out when you’ve cooled down. If you feel angry all the time, find the source of your anger. Try to calm yourself – use the relaxation techniques in meditation to slow yourself down. Try to put yourself in the shoes of the person you are angry with. Only then should you attempt a solution. The Vampire: You’re very dependent on other people’s support. You value how other people are there for you when you’re feeling low, but you also wish that you could be less needy and more independent. Look inside yourself and find the strength that would also make you return the favor. All you need to do is find what you are able to give in return. The Martyr: You take on other people’s burdens. They depend on you, and somehow you end up doing more work than everyone else. You are happy to be of help but sometimes wish that you could rely on someone else to share the load. Why not look at the strengths of the people around you? Another way of showing appreciation is to let them do what they are good at. Delegate. The Judge: You tend to be very critical. You see things so clearly that you can’t help but point out the flaws. People are afraid of what you will say, so they are not very candid in your company. Try to balance what you say. You can give constructive criticism. Given that you are able to see things as they are and as they should be, it should also be easy for you to pinpoint when something is done right. Mention that too. The Miser: You are a penny-pincher. You know what it means to live with poverty so you are very careful what you spend. Your constant budgeting, however, turns people off. Remember, not everyone shares your values or your experience. Allow people to make their own choices. However, if you can point out a bargain, by way of suggestion rather than insistence, they may just appreciate the advice. The Professor: You have a knack for remembering information. Sometimes, however, people get tired of your lecturing – even when what you say is something that they need to know. They think you are condescending. Intelligence is an advantage, but it should be tempered with respect. You can help others, but you cannot think for them. Try to learn when to be forthcoming, and when to wait for others to ask your advice. The Soothsayer: You are a pessimist. You are the first to shoot down an idea because of its possible negative outcome. People find this irritating, especially because they would rather look on the bright side and anticipate the positive. Are you basing your projections on facts or possibilities? Are you the type to prepare for the worst and hope for the best? Don’t forget the last part of the equation: hope. The Vanishing One: People say that you cannot be relied upon. They think that you are being lazy or selfish for not joining in, or committing to something and then backing out at the last minute. You really want to help but there’s just so much on your plate. Explain your situation before you go; and remember to return and help out when you can. If you save your affirmations for the times that you can actually deliver, then you can change your reputation.